INFLUENCE OF INDOLE-3-BUTYRIC ACID (IBA) IN PLANT RENAISSANCE OF RAUVOLFIA SERPENTINA (L). BENTH. EX KURZ. 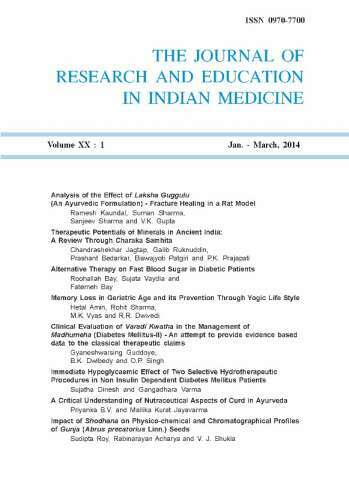 Ayurveda Perspectives on Chronobiological concerns in Human Biology. Pharmacognostical evaluation of Alternanthera philoxeroides (Mart.) Griseb. IS THE GLASGOW PROGNOSTIC SCORE A USEFUL TOOL FOR DIAGNOSIS OF CANCER CACHEXIA?